Starting salaries are up for the class of 2012. Recent college grads finally have a reason to be optimistic. While they still face a tough job market, those lucky few who find jobs in their field can expect to earn a higher starting salary than their predecessors did. Salaries for class of 2012 college grads are up 3.4% over the pay of those who graduated a year earlier, according to a survey released Thursday. 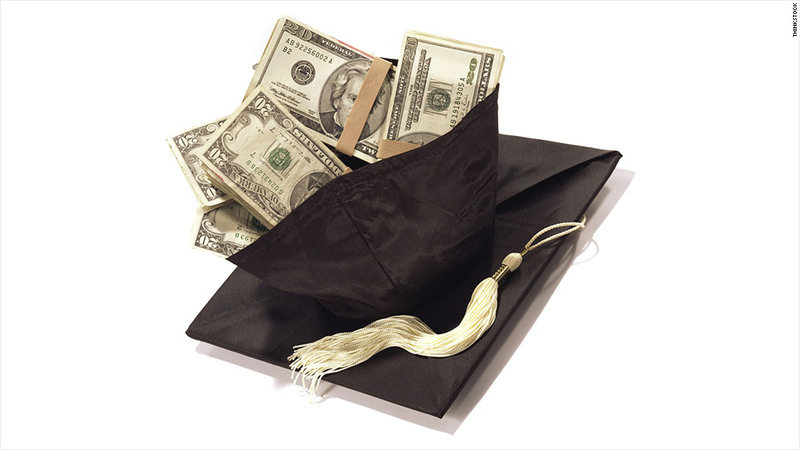 The survey from the National Association of Colleges and Employers showed the average salary of new grads at $44,455. It was the best year-over-year rise in starting salary since the class of 2008. The typical salary ranges from $36,988 for humanities and social sciences graduates to $61,913 for those who emerged with an engineering degree. Computer science majors were a close second to their engineering classmates with an average salary of $59,221. The salary averages are only for those graduates who found jobs in their fields of study, not for those who have taken any job. Besides earning the least upon graduation, humanities and social science graduates also saw their salaries rise the least of the various fields of study, with only a 2% increase over the starting wages of a year earlier. The biggest jump in pay was for education graduates, who received 5.4% more than a year earlier. Still, that only took their average pay to $40,668, a little less than the average pay of all graduates. Education services was also the field that hired the most new graduates, according to the survey, with a reported 444,500 new graduates entering that field. Professional, scientific and technical services -- a catch-all category that includes accounting, architecture, engineering, and computer jobs -- hired the second greatest number of new grads, followed by health care and government sectors. "We've seen a steady increase in the average starting salary for bachelor's degree graduates over the past two years, indicating improvement in the job market for college graduates," says Marilyn Mackes, executive director of NACE, which includes both on-campus career counselors as well as job recruiters at employers. Still, it remains a weak job market for recent college grads. A separate survey of 2012 graduates conducted last winter and spring by NACE shows that just less than 30% had received a job offer ahead of graduation. And Labor Department figures show that college graduates age 24 and younger had a 7.7% unemployment rate in 2012, nearly twice the rate of older graduates and well above the 5.4% rate for those young graduates in the year before the start of the recession.